What do you do with BB guns? Post subject: What do you do with BB guns? I don't understand what the attraction is to BB pistols. I gave mine away. Can't hunt with them. BB's rolling around the floor, bounce out of traps, hard to load due to small size. Hard to see holes in paper. CO cylinders is expensive to run. Airsoft seem so much user friendly and you can catch all the 6mm in netting and reshoot them again. Airsoft 6mm are a lot cheaper to buy. Run airsoft on propane from a big bbq tank to cheapen the price down or spring pistols. Airsoft their is a big network for pistol competitions just like powder burner pistols but no licence required. Never heard of any BB pistol shoots. What am I missing about 177 BB pistols? Post subject: Re: What do you do with BB guns? Can't own a automatic rifle, or machine gun. So I bought a automatic BB rifle. Just plain ole simple fun, although I prefer pellets/lead and rifled barrels, I do have a few bb shooters also. I think bb guns usaually more realistic in the hand, and semi auto shooting, but less of shooting performers. I don't use em much at all more due to the bb bounce factor but you know what? each to his own, if ya want to knock soda cans with slingshot, pellet, slugs, steel bb or 6mm plastic......they're all fun as heck! ...that i can scour flea mkts, gun shows (Kamloops this weekend!) and get some real steel fun stuff for the BB gun. grips, holsters, foregrips, scopes, tactical lights/strobes/red dots and lasers etc..
the KWC 1911 fits exactly, with a very satisfying *snick*, into a Cytak style paddle holster. (the pic is of a real steel 1911 but that's how my BB gun fits). i have a wood set of grips made for a real steel 1911 pistol but fit with some slight work w a dremel. fine fun. custom. 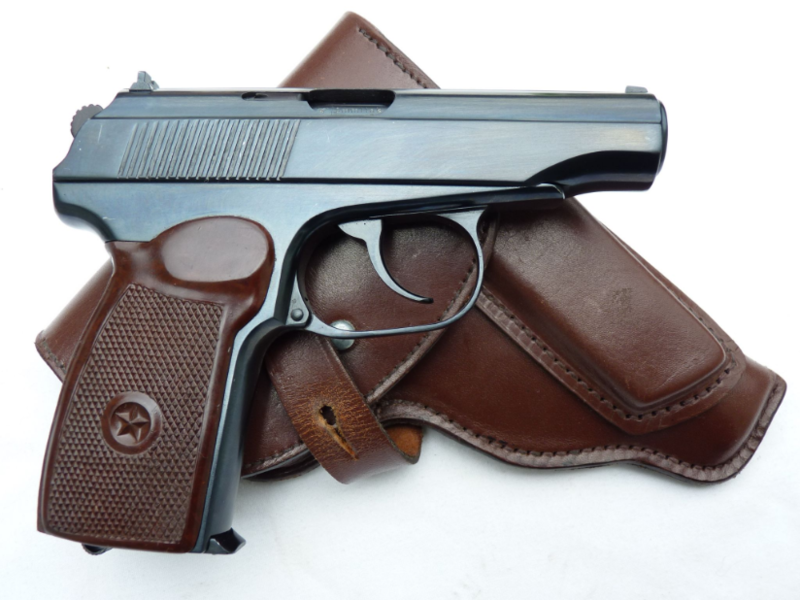 the Makarov is mated with a circa leather holster scored at a flea mkt, the mag fits perfectly into the mag pocket. the PX4 is another perfect fit into its holster. 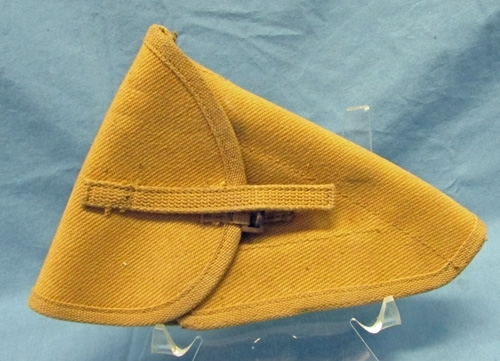 the Ekol fits into a CDN army canvas holster for a Browning. in their pistol cases i mated the Luger P08 pistol up with WW II German (nazi) coins, & pins. 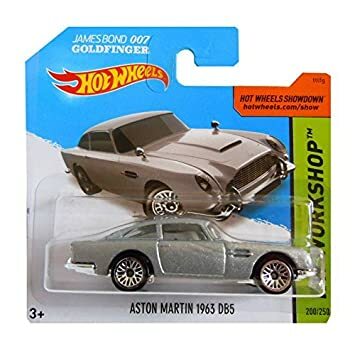 ..the PPKs contrast nicely with a Hot Wheels Aston Martin. ..and i get to wear them for a day while shooting cans and paper targets and bushwhacking in the OK/BC woods. cheaply. campfire. chili. wood smoke. fresh air. ..as my buddy travels straight from home to the gun range to shoot their costly ammo and their (one) costly louder gun at cans and paper targets. but no campfire. no chili. no wood smoke. then again, i also have my hallway if the landlord is not home upstairs. Crosmans ala Wildcat, C11 21 31 41 ... who's got a C51?! Last edited by Leon Yrag on Thu Apr 19, 2018 9:00 pm, edited 4 times in total. Don't take life too serious... It's not like you're gonna make it out alive. Good looking pistols you have. I have a KJ Works KP-07 1911. Blowback all metal and runs on propane. Holds 26-6mm. I use airsoft at my campsite at trailer park. Got tactical torch for when it gets dark out I can still shoot them. Shoot them everyday but mostly my spring pistols in 6mm 1911 as it is totally silent. I just find the bigger airsoft 6mm BB's a lot easier to deal with and wife don't get mad at me for little .177BB's rolling around on the floor in our house because they bounce out of traps. Shoot the .177BB's in duct seal and they are a complete pain to get out. Plus I can reuse 6mm as you shoot them in netting traps with paper targets. Still they are 400FPS but just a lot lighter 6mm plastic BB's. CHEERS! ...sometimes for $49.99 and pennies per shot. Not if you have a safe room. Just gotta make them. So nobody can fit thru the studs, steel doors. Then you can hang them on the wall w/o a trigger lock required. Cabinets you still need a trigger lock. Actual safes you don't need one. There are plans and ideas on the RCMP website. Well there is a difference between a safe, and those sheet rifle metal cabinets you see at CT.